Joseph Silver focuses his practice in the representation of mortgage lenders and servicers in cases involving violations of consumer protection statutes and claims arising under the Truth in Lending Act and the Real Estate Settlement Procedures Act. Mr. Silver also has experience representing and advising insurance companies, corporations, insureds and individuals in insurance coverage actions, first-party property litigation and employment matters involving claims of discrimination. 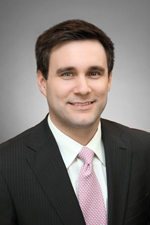 Mr. Silver joined Hinshaw & Culbertson LLP in April 2011. Previously, he was an associate with Havkins Rosenfeld Ritzert & Varriale, LLP, and Rivkin Radler, LLP in New York. During law school, Mr. Silver served as an intern with the Nassau County Legal Aid Society and United States Senator, Charles E. Schumer. Also, in the summer of 2005, Mr. Silver was an associate at Litman, Asche & Gioiella, LLP, a boutique criminal and civil litigation firm in New York. Throughout his undergraduate studies and also during law school, Mr. Silver worked as a paralegal at Paul, Weiss, Rifkind, Wharton & Garrison, LLP in New York, and Garfunkel, Wild & Travis, P.C. in Great Neck, New York. Author of “The Global Partnership: The Final Blow to the Nuclear Non-Proliferation Regions?” which was published in the New York International Law Review, Winter 2008.